Orthoplastics is proud to be at the forefront of raw material development solutions for the orthopaedic sector. Adopting a series of quality control measures ensures that Orthoplastics UHMWPE products have been continuously developed and improved in order to provide the patient with the longevity that they need. A range of medical grade plastics and production processes have been developed at Orthoplastics, including; cross-linked materials and vitamin-e materials, combined with advanced component machining and direct compression moulding capabilities. 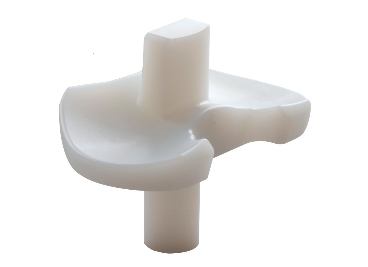 UHMWPE’s unique properties and its physiological compatibility makes it the most appealing material to use within medical applications. 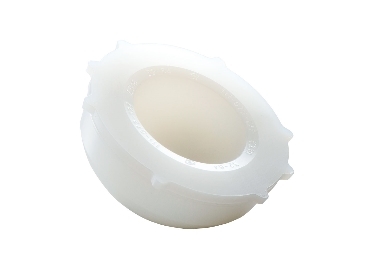 Its benefits include excellent wear resistance, outstanding impact strength and exceptional stress crack resistance. 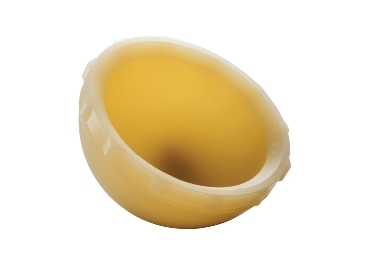 The effect of combining UHMWPE products with Vitamin E increases the lifespan of the implant. This is due to Vitamin E being an oxygen scavenger, thereby reducing oxidation within the implant after irradiation has taken place. Regarded as one of the most significant developments of recent times, Orthoplastics have the ability to provide the medical sector with crosslinked polyethylene which greatly benefits device manufacturers, and more importantly the patient community. Using a method known as DCM, allows Orthoplastics to produce individually moulded components. Although quite a costly method of sintering the polymer, this approach achieves an excellent gloss finish to the product, ensuring the highest level of quality is maintained throughout the manufacturing process. 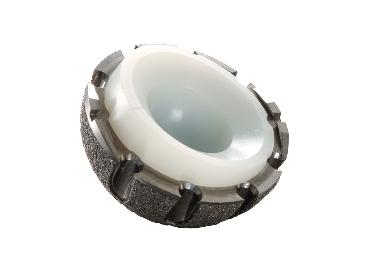 Work with a World leader in implantable plastic manufacturing and component machining. 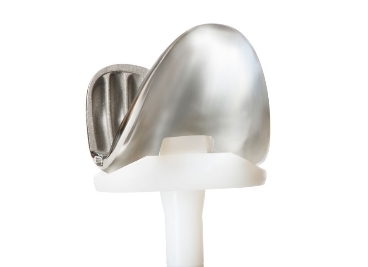 From consultation and component machining, through to prototyping, pre-production validation runs and full scale outsourcing, Orthoplastics have the equipment and systems in place to make any orthopaedic product concept a reality.